Sometimes I get really, really, really excited about a band. REALLY excited. I love music, and I love many genres of music. I was born and grew up listening to strong female vocalists a la Grace Slick, Janis Joplin, Buffy Sainte-Marie and my favourite, early Cher (I don’t really care for any of her music after the 70’s). I Love music that is powerful, that has a real voice and a purpose. I love using words as a real form of expression, of protest and I love when that is combined with excellent music. I have to admit that nowadays I don’t really have my finger on the pulse in regards to music anymore. With the baby still being so small I can’t really go out and about to shows and I don’t actively check out new rock and folk music anymore. I mean, I missed the screening of Nick Cave’s documentary… If you had told me that 2 years ago I would have laughed in your face! As a music photographer my mother gets to see a lot of bands (a lot more than me nowadays anyway), and she always lets me know if she sees something I may enjoy. 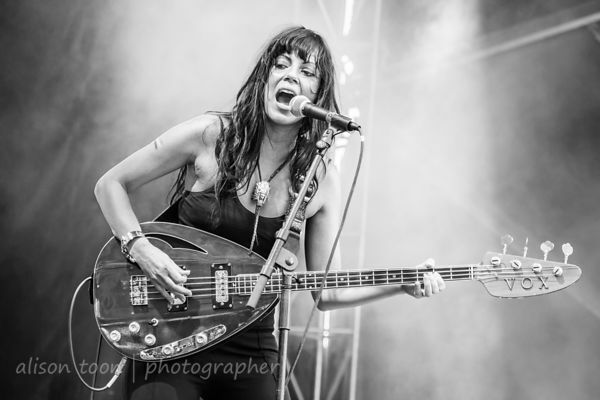 She gave me a copy of We Will Reign by The Last Internationale this weekend, and after looking at her blog post and photos from their performance at the Aftershock festival this year I got really excited about listening to them. And I was not disappointed. I was actually really, really happy as soon as I heard the first song on the album and haven’t stopped listening to them since. Anyone who can cover Buffy Sainte-Marie without butchering the song is pretty OK in my book. The Last Internationale are New Yorkers Delila Paz (LOVE her name) and Edgey Pires and RATM’s Brad Wilk on drums. I can’t believe these guys reside in the East Village and that I have not seen them or heard of them until now! The Last Internationale cover real life issues in their songs, protest band if you would like to call them that. Poverty, war, blood, prejudice, peace, love, hatred, pain, anger, injustice – and they are only getting started. Delila’s voice is haunting, passionate, beautiful and so striking. The go full on rock and then strip right down to the bare bones, reminiscent of what you see in Joan Baez or a Bikini Kill, but original in their own right. They are not afraid to tell it like it is, portray what needs to change in our world, make it heard. As much as I love words, I also love music, and for me a song needs to be a unit. A story and a tune, the music making the words sing and the words weaving around the melodies as they ebb and flow. 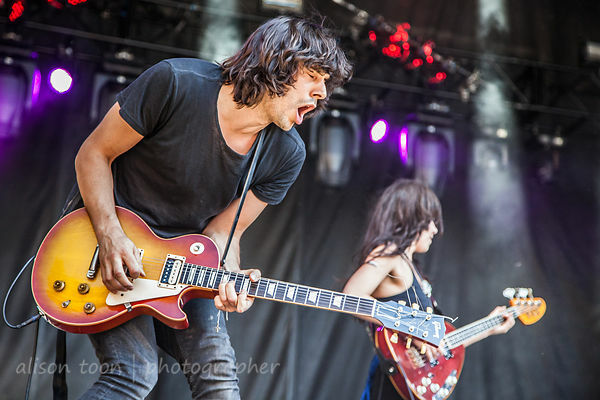 The Last Internationale’s songs are music and words, words and music, one playing with the other to create dynamite. They give us songs that have so much meaning and history and passion behind each word and each chord. Folk, rock, protest, beauty, passion. I’m assuming that these guys are explosive on stage – judging from the photos I have seen and from what I have heard. They are opening for Robert Plant on his tour right now, and I hope to see them live at some point this year! The Last Internationale’s first album We Will Reign was released this year, and they also have an EP, called New York, I Do Mind Dying, released in 2013. The EP contains the Buffy Sainte-Marie cover Cod’ine.